Professor Jackie Oldham is Director of Strategic Initiatives for Health Innovation Manchester and Manchester’s Oxford Road Corridor – a unique 243 hectare innovation district incorporating the largest clinical academic campus in Europe sitting at the heart of Greater Manchester’s knowledge and health economy. Roles and responsibilities include supporting Greater Manchester organisations in the realisation of their strategic aims, representing their interests, optimising showcasing and national / international collaboration opportunities, stimulating inward investment / economic growth and providing peer support. Jackie holds a PhD in musculoskeletal physiology and was founder Director of the Centre for Rehabilitation Science, Manchester University. She is also Director of Manchester Improving Medicine with Innovation and Technology (MIMIT) and Honorary Director of the Edward Centre for Healthcare Management Research – part of the Edward Healthcare group of companies established in China with presence in the UK and Asia. 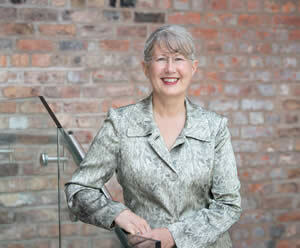 She is also Chair of St Ann’s Hospice driving an ambitious strategic agenda to diversify and improve hospice care. On a national basis she has served as a member of the NHS Secretary of State’s Advisory Panel for NHS Challenge Prizes, the Finch Committee and a number of grant and strategic award committees including the Medical Research Council Translational Research and Stratified Medicine Steering Groups. She currently serves as a member of the MRC Confidence in Concept and Proximity to Discovery Award Committees.